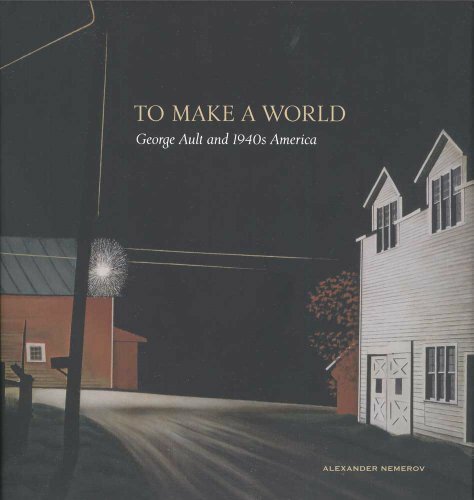 To Make a World is the first publication on Ault in more than two decades, and it features nearly twenty of Ault's paintings alongside those of his contemporaries, including Edward Hopper, Rockwell Kent, and Andrew Wyeth. Author Alexander Nemerov explains that despite Ault's remote location and reclusive lifestyle, his paintings represent his fear for the precarious state of the world and reflect an emotional response shared by many artists and the nation at large. Alexander Nemerov is chair of the art history department at Yale University.